Semi-trucks form a relatively small part of registered vehicles on the road; however, they are the cause of a large number of road accidents. Car accidents involving semi-trucks often result in catastrophic injuries and fatalities. The most common cause of car accidents is not looking for other motorists and pedestrians on the road while making a right turn. A semi-truck, while making a right turn, veers towards the left and then turns right; motorists in the left lane and those coming from the opposite direction may be taken by surprise which can result in an accident. Many people think that semi-truck drivers are generally drowsy after driving for long hours; however, the main cause of accidents is the size and weight of the truck. The weight and load of the truck make controlling and handling extremely difficult. Simple actions like steering, braking, and turning require special skills and this task becomes more difficult during inclement weather. It is advisable for all motorists to drive with caution when a semi-truck is around. Learn how to avoid situations that put you at risk for an accident with a semi-truck. There are certain common dangers with respect to the semi-trucks that everyone must be aware of. Be aware of wide turns: Large trucks and semi-trucks must take wide turns due to their size and length. A truck must swing wide towards the left in a right turn and swing towards the right during a left turn. This situation can turn dangerous when the truck driver fails to notice smaller vehicles flanking on both sides of the truck, or a car or motorcycle is next to the curb on the right side of the truck. These vehicles can get pushed onto another lane or get squeezed between the truck and another vehicle resulting in serious injuries. Blind-spots: Semi-trucks have larger blind spots than regular vehicles due to their size and length. The areas directly behind the truck and diagonal to the truck are blind spots which are not visible to the driver and hence a vehicle in this spot can be severely affected. When a truck suddenly brakes or changes lanes, the chances of an accident with the vehicle in the blind zone are very high. Roll-over: Semi-trucks are generally top heavy thus making them quite unstable. If the cargo is not evenly distributed, the stability of the truck will be severely affected and the truck can be highly susceptible to a roll-over. The most common causes of roll-overs are sudden braking, turning at a high speed, climbing on or off ramps, and during adverse weather conditions. Jack-knifing: The size and weight of a semi-truck make handling the truck difficult. If control is lost, the cab and the trailer do not act in sync and tend to go in different directions. In many situations, it has been observed that the trailer can move a full 360 degree, colliding with any vehicles in its path and resulting in serious injuries and even fatalities. This happens when the truck brakes suddenly or changes direction suddenly. 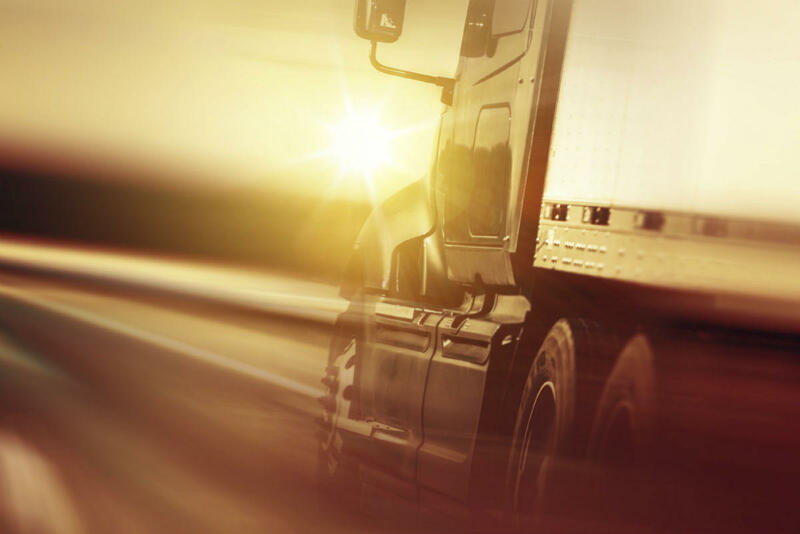 If you have been injured in an accident caused by a semi-truck driver’s failure to negotiate the turn properly, consult with a St. Louis truck accident lawyer.